Your opportunity to purchase a custom designed Deltec home. Turn key, ready to move-in or as an income producing investment. 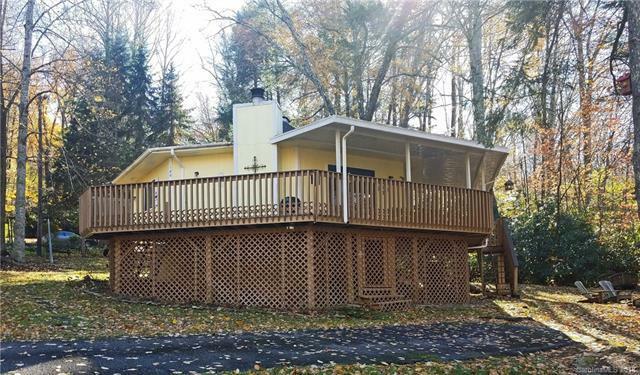 This lovely 2 bedroom, 1 bath single level home is located minutes from Maggie Valley in a gorgeous mountain paradise. Easy access with a creek & views. Wraparound Trex decking, covered entry way. This open floor plan is graced with a wood burning fireplace for cozy enjoyment. Close to Waynesville, Cherokee, Asheville and the Smokey Mountain Park, also minutes from the Blue Ridge Parkway. Priced to buy.